Rahul is the co-founder of Anderes Fourdy and My Meeting Partner by AF. Anderes Fourdy is a Multimedia Super Corridor (MSC) Company registered with the Malaysian Ministry of Science, Technology and Innovation. The company’s forte is in developing an integrated, seamless and scalable Congress Technology using Cloud Technology, Mobile Applications and Radio Frequency Identification (RFID) Devices. My Meeting Partner by AF is a Professional Congress Organizers (PCO) and Business Events Consultancy. It’s clientele includes international associations, corporates, convention centers, convention bureaus, expo and event organizers. He was previously the Director of Operations for Reliance Conventions and Events, a Tier-1 PCO under the Malaysian Convention Bureau’s (MyCEB) PCO Partner Program. Since 2009, Rahul has consulted many PCOs, event service providers and event software companies. 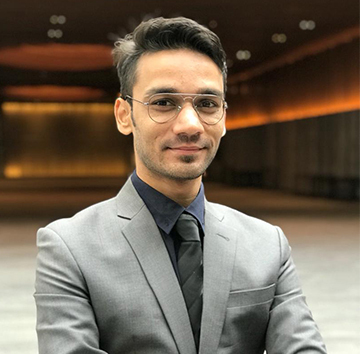 While still in college, Rahul developed an international event and association management software currently know as eRegNow.com which is been used by major event organisers across the globe. Rahul is a Certified Meetings Professional (CMP) registered with Convention Industry Council (CIC).